The container terminal industry has been able to navigate around a predicted ‘perfect storm’ in Q1, but are there more dark clouds on the horizon? 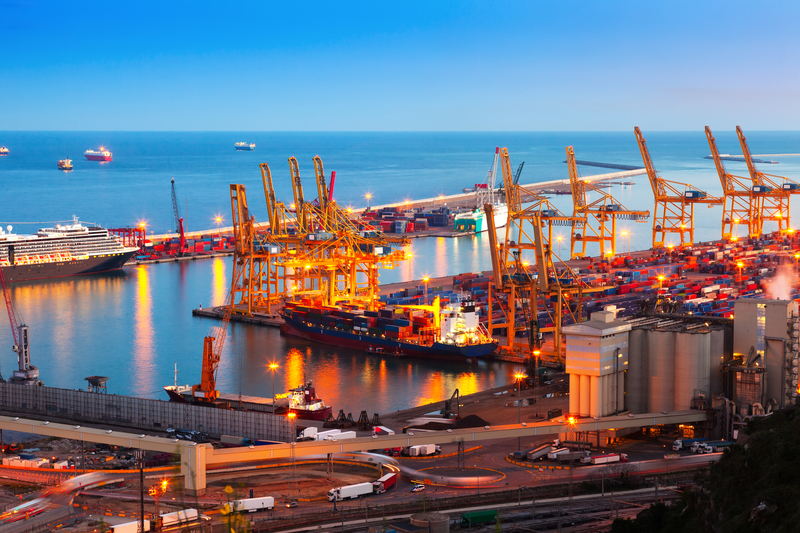 While reported losses by ocean carriers in the quarter were north of $1bn, their service provider container terminal operators were able to reap the benefit of a third consecutive quarter of volume growth in excess of 6%. Presenting a snapshot of Drewry’s latest Ports and Terminals quarterly review, senior analyst Neil Davidson said the industry had largely avoided the ‘perfect storm’ of softening demand, higher costs and a squeeze on rates from the formation of larger more powerful alliances. Although a rush of M&A activity resulted in terminals being obliged to bill stevedoring on a lowest common denominator basis, in instances of carrier deals, the bigger ships and alliances now have less choice of terminal facilities, said Mr Davidson. Moreover, he noted that available terminal capacity was “actually being shrunk by volume peaks”. Nonetheless, carriers heading for further heavy losses in Q2 will keep trying to reduce their costs, including terminal charges, so the next annual contract discussions will be especially tense. Meanwhile, notwithstanding the steady decline in return on invested capital, which Mr Davidson said could partly be attributed to “the inevitable maturing of the industry”, the container terminal sector also faces a risk from market volatility, along with threats to volumes from looming trade wars and sanctions. Mr Davidson noted that in order to protect itself from adverse developments outside of its control, the sector was being proactive in developing strategies to mitigate exposure, which include: liner affiliation, including joint-venture agreements; terminal alliances; and diversification into other business areas. The analyst explained that the rationale behind terminal operators looking to diversify their activity beyond the terminal gates was not necessarily about generating an additional source of revenue, “but about getting closer to cargo owners”. The best solution, he believed, was full-scale merger of terminals. Failing this, however, the sub-contracting of a specific customer to another terminal, which already happens in some ports, was the next best option. Elsewhere, the latest Global Port Tracker north Europe six major hub port analysis is predicting imports to increase by 3.5% this year on 2017, to 15.7m teu, while it expects exports to rise by 5.7% to 13.9m teu. Co-author of the report, Ben Hackett, notes that if the predictions are correct it would represent five years out of the last six where imports have been positive, and for exports, it marks seven years of growth. However, Mr Hackett cautioned that in today’s world: “nothing is what it seems to be”. “We are navigating through a minefield of contradictory trade policies and statements from the US, the EU and China,” he said.